In the Christmas of 2014, I got a Grumpy Cat. It’s great to sleep with or for a holiday decoration that will crack your guests up. 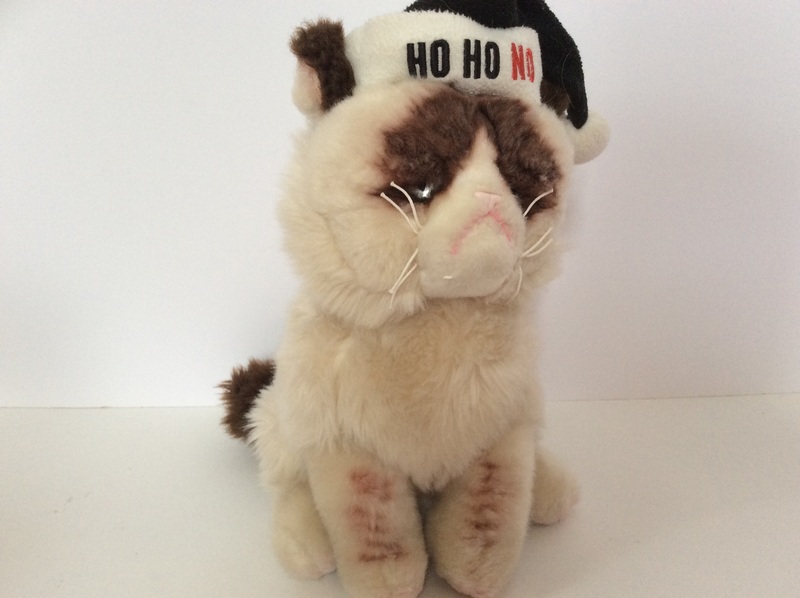 Grumpy has a cute Santa hat that says ‘Ho Ho No’ and her usual foul expression. wow, your mom is a genius with gift giving! Actually, my sister gave it to me because I told her to.